India’s bullish plans to switch over completely to electric mobility by 2030 might have caught the eye of Tesla Motors CEO Elon Musk, but there are several issues that require the government’s intervention if this pipe dream needs to turn into reality. Retail sales of electric vehicles in India is almost negligible today, despite both the Centre and some state governments subsidising the cost of these vehicles. Delhi, for instance, offers Rs 1.5 lakh additional subsidy over the Union government’s FAME benefit, yet adoption in the city by consumers remains low. The high cost of electric vehicles isn’t the only thing hindering their sales. The infrastructure needed for charging these vehicles is inadequate, none of the large original equipment makers are currently present in the space save for Mahindra & Mahindra. In the two-wheeler market, customers do have a few options, but the products are mostly substandard. 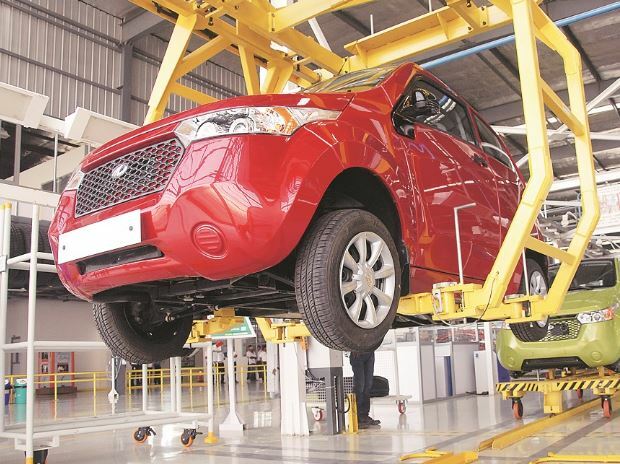 “A flat subsidy incentivises low-spec vehicle manufacturing disproportionately, since it makes the end-customer price for low-spec products very attractive. In a category that doesn’t have high awareness and understanding amongst consumers, it creates the impression that electric vehicles are low end and compromise products,” says Tarun Mehta, co-founder and CEO of Ather Energy. While the government has been offering subsidies on electric vehicles from April 2015, it still has not introduced a standard for charging infrastructure. Work to define these standards, or Bharat Charging Standards as they have come to be known, is still on, with the government actively asking for the participation of the industry in defining them. The reason it is important for charging standards to be set in stone is that all players — original equipment makers, charging station providers— will then be able to build on it and crystallise their plans. Right now, the lack of any standards is holding back companies from making large investments in the space. They fear the infrastructure they set up right now might become redundant once the standards are introduced. “A standardised charging unit allows the country to develop a robust, extensive and reliable infrastructure. At the same time, it allows people more variety of electric vehicles to choose from since all vehicles have a standard charging feature. Electric vehicle owners don’t have to worry about charging infrastructure for each individual brand,” says Mahesh Babu, CEO at Mahindra Electric. Industry players expect the new standards to be decided on quickly, going by the vigour they claim to see in the way the Union government is pushing for electric mobility. Chetan Maini, the founder of India’s first electric car company, Reva, believes that some of the government’s bullishness comes from the fact that India has been able to crack the renewable power game. Deals by states to buy energy produced through renewable sources have dropped to under Rs 3 per unit. This low-cost, localised energy source if used to power vehicles could save the government billions that it today spends in import of oil for feeding the country’s growing demand for petrol and diesel. “India’s plans to go fully electric by 2030 and its investments in solar energy are linked. Renewable energy will be brought into mobility and displace oil. Industries can be changed in ten years. Even if we achieve 90 or 80 per cent of this goal, it will have a huge impact. It’s all about getting the country to move in the right direction,” says Maini. Even if India manages to put in place all the infrastructure and policies to support fully electric mobility by 2030, the feasibility of the plan hinges a lot on the cost of lithium ion batteries. Today, batteries powering electric cars are the single most expensive part. The trend of falling costs of lithium-ion batteries over the past few years, however, is lending optimism to the future of electric vehicles. A McKinsey study estimated that the cost of lithium ion batteries had fallen from over $1,000 per kWh to $227 per kWh in 2016. By the end of this decade, the cost of batteries could drop below $190 per kWh, and by 2030 could fall below $100 per kWh. “The cost of batteries has come down by nearly 15 per cent year-on-year for the past three years and if you extrapolate that curve, it’s quite amazing what’s possible in the next few years. But don’t just look at that. The cost of renewable energy in some of the recent deals has been fixed at Rs 2.44 per unit, and that cost is locked for the next 10 years,” adds Maini.